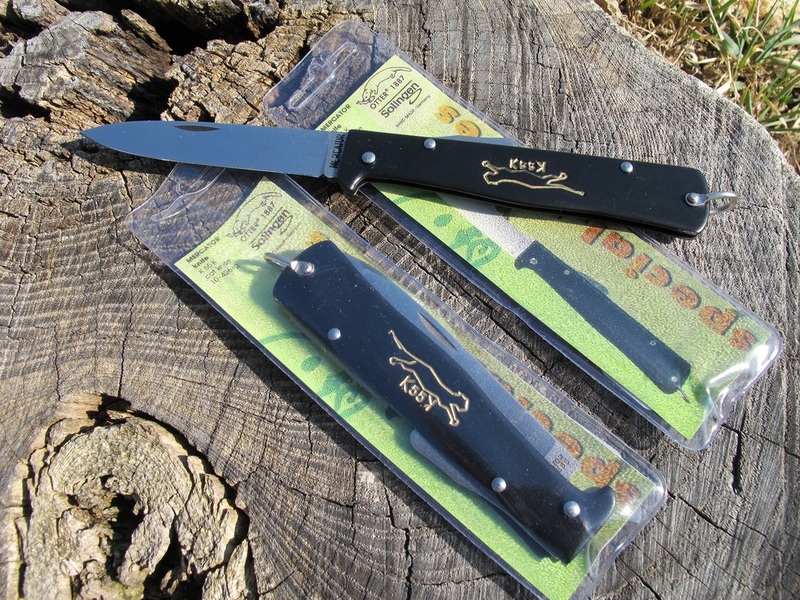 With a heritage stretching back to the first production model of the K55K knife in Prussia in the 1860s, it's almost a perfect design as a general purpose pocket knife. So cheap to buy too! 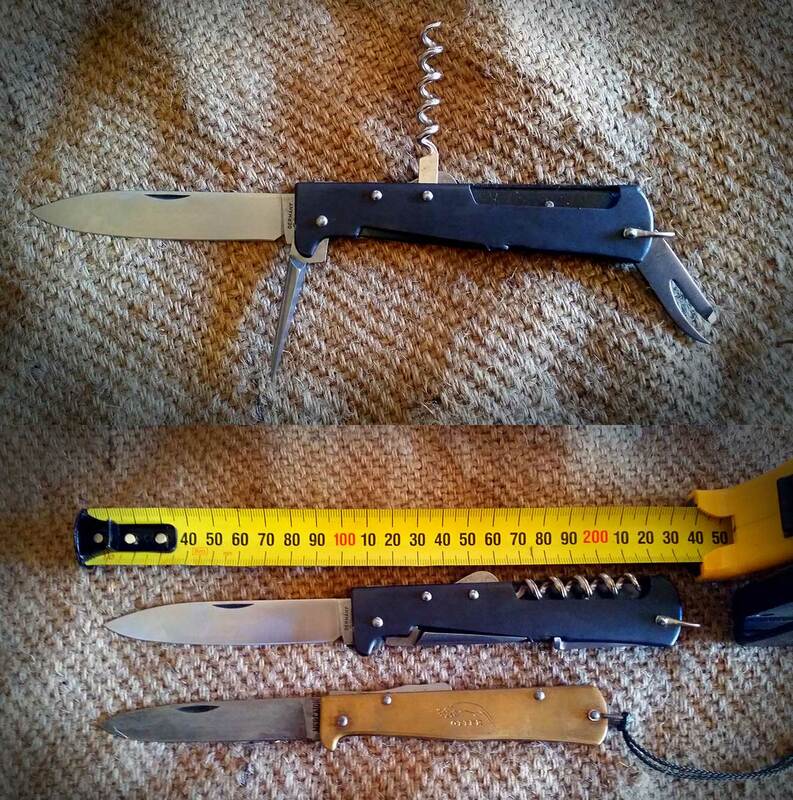 About the same as an Opinel or a douk douk, but has a positively locking blade that's huge for the weight of the knife. I am smitten with these if only because they are razor sharp from the factory, and are so slimline compared to the blade size. I use a tin as a PSK container, and I carry a full sized K55K Mercator inside the tin while still able to fit in all my other junk. 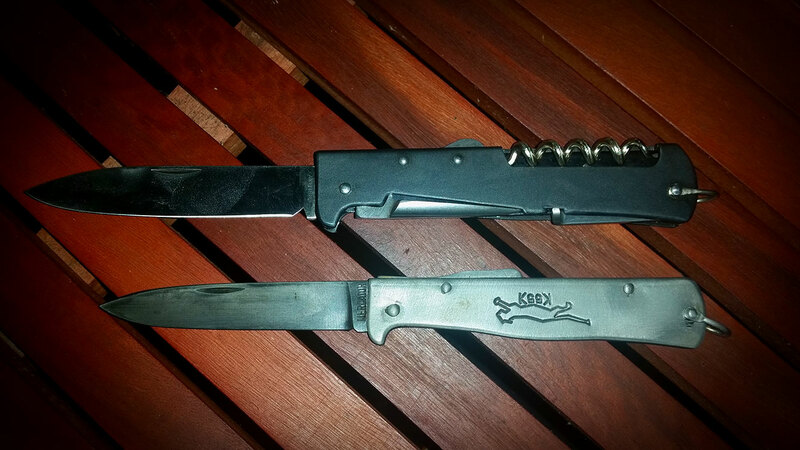 Mercator Multi and one of my standard Mercator K55K "cat" knives. On this one I stripped the paint off the handle and vinegar blued it and the blade. I have another one somewhere for belt or pocket carry. 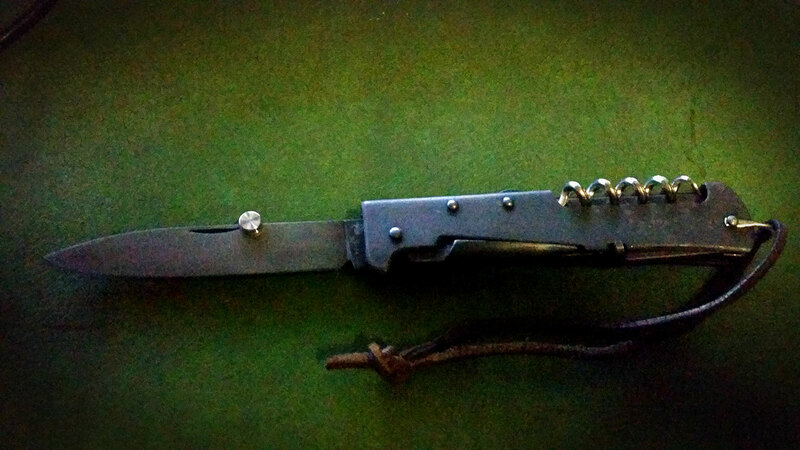 Then I have an Otter knife which is a brass-handled K55K Mercator knife. Size difference between the larger Multi and the brass handled Mercator Otter knife. My fourth Mercator knife is a Mercator Multi. It's a bit bigger and has some tools on it like a Swiss Army knife - awl, corkscrew, can opener. The big Mercator multi as it looks today. Vinegar blued and fitted with a thumbstud for easy one-handed opening. EDC. Re: Any love for Mercator folders? cute, buy my need for a knife in that category was filled when I bought my Swiss Army One Hand Trekker. I have a similar folder made in Portugal that was gifted to me quite a few years ago, it's made of a stainless steel, really light weight, sharp, and of high quality, it makes a great knife to carry for peeling and paring fruit, or when eating out and the restaurants knives are crappy, it's also quite attractive in it's simplicity and white bone scales.